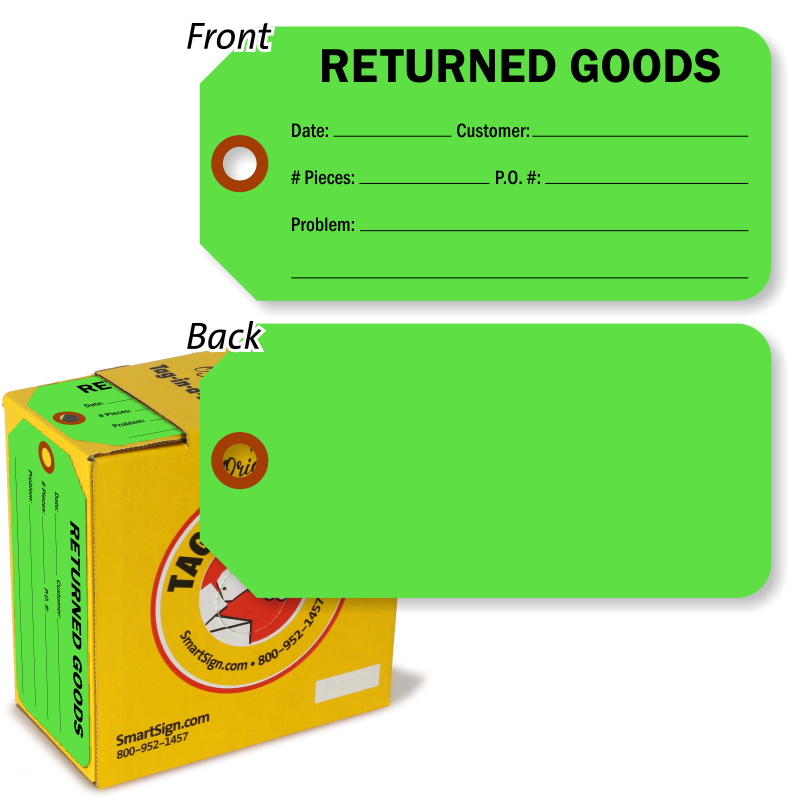 Returned goods are just as important as your inventory - make sure they get to the right place. 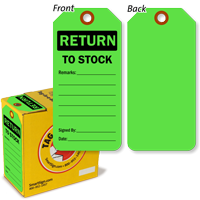 With bold colored backgrounds and popular messages, each Return tag lets you write a specific message and mark your items in seconds. 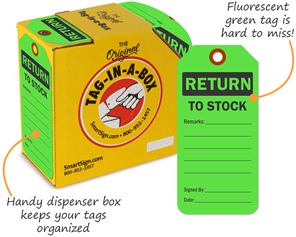 Don't let messy tag rolls waste time - with our convenient Tag-in-a-Box tag dispenser, you can grab a tag at a time! 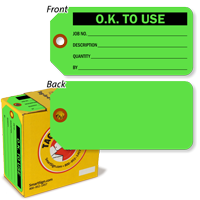 Just tear it off at the clean perforated edge and put this handy dispenser back on the shelf. Each tag set features a reinforced eyelet for hanging, so this tag can last the life of your goods. 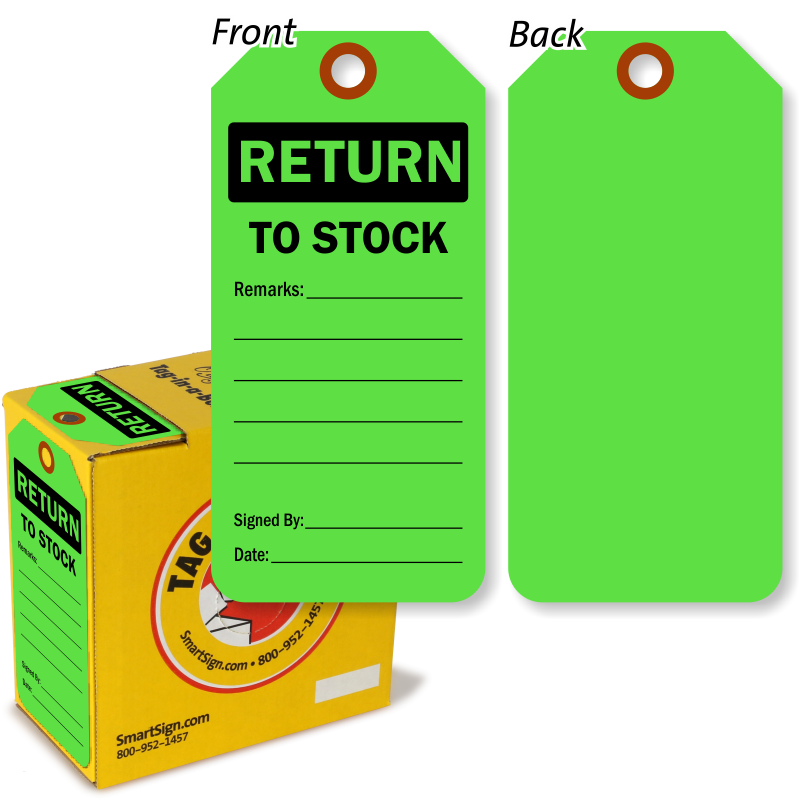 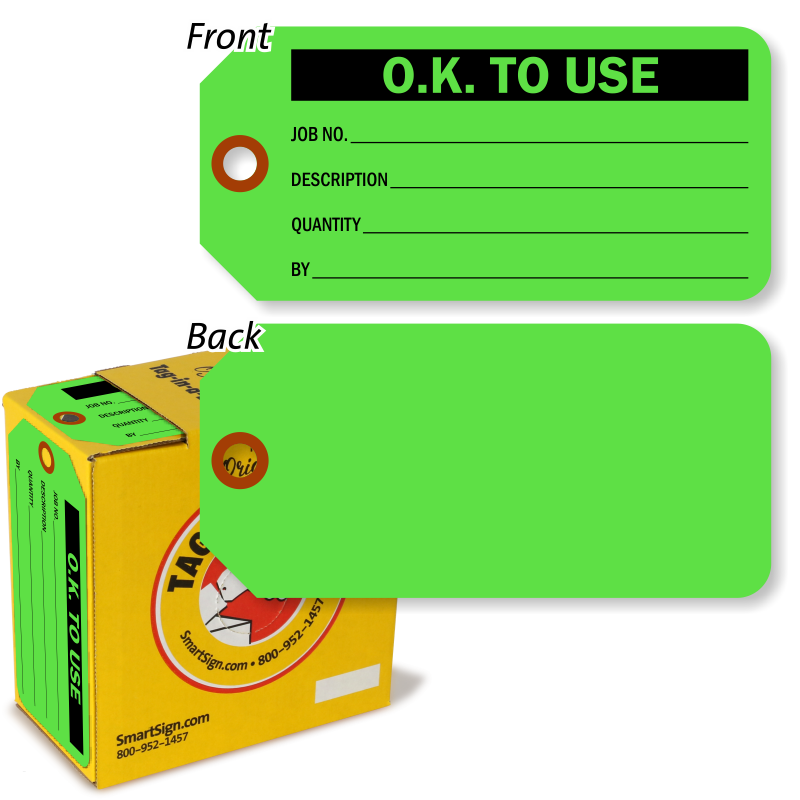 • Bright colors stand out on your inventory and returned goods - each tag features a write-on surface for easy marking. • Hang these tags almost anywhere from the reinforced eyelet. 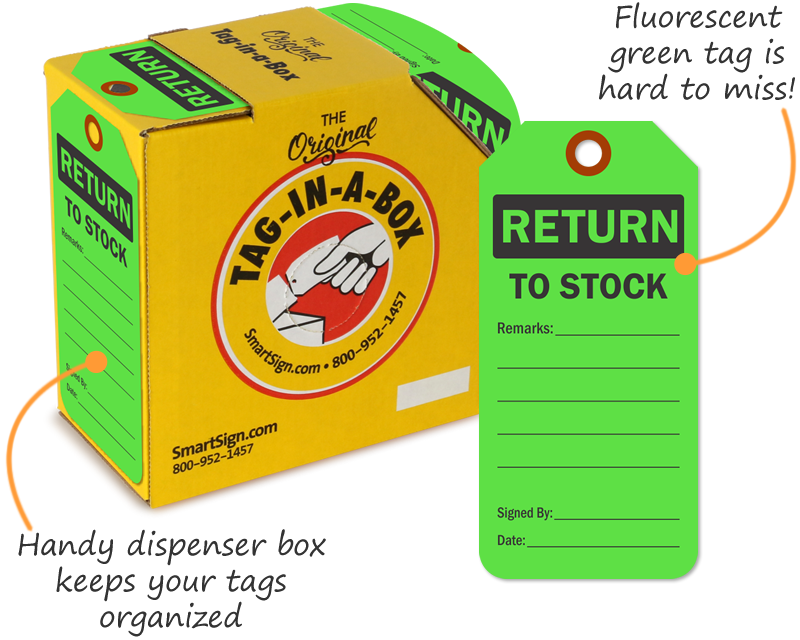 • Use our Tag-in-a-Box dispenser design to store tags more easily, and take them on-the-go for on-site tagging. 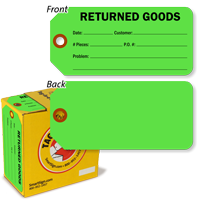 • Choose from a variety of messages for a comprehensive return system.